Among the many anti-acne solutions available to Envision Medical Spa's professional skin care therapists are a number of specialized products created by Dr. Zein Obagi, founder and medical director of ZO Skin Health Inc. Obagi, a fully-accredited, practicing Dermatologist, has devoted his life to the science of skin health and has developed a series of products to deal with serious dermal and epidermal issues. These products can all be viewed on the ZO website. Revitalize dry skin with this refreshing, rejuvenating cleanser which encourages the production of collagen. Using allantoin and panthenol, the crème repairs, restores and soothes parched skin and enhances cellular renewal. Clear away clogged pores and remove excess oil with this soothing resurfacing cleanser. The hydrating action from the encapsulated Vitamin E cleanses deeply while providing antioxidant protection for long-lasting results. This unique product soothes and revitalizes with a collagen and peptide enhancing formulation to nourish, relax and firm up facial skin as it removes shed skin cells and other impurities. This exclusive formula pulls double duty for both exfoliation and cleansing. This fantastic product removes impurities to clear up acne blemishes and prevents new ones from developing. Oilacleanse removes the causes of breakouts by eliminating the acne-causing bacteria that forms in hair follicles and pores. The invigorating, revitalizing foaming solution is comprised of two powerful, yet totally natural extracts; camellia sinesis (green tea) leaf and spiraea ulmaria (meadowsweet). This effective combination dissolves excess sebum (skin oils) while deep-cleaning pores for antioxidant and anti-inflammatory effects. 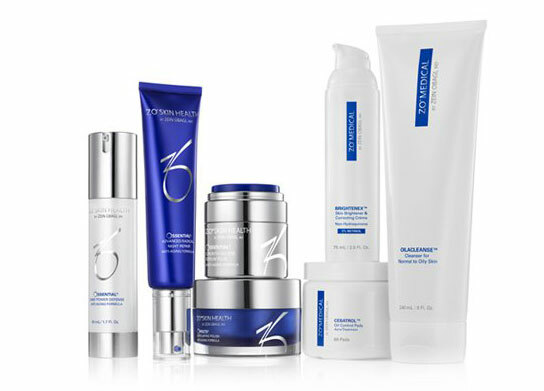 Envision Medical Spa has a panorama of powerful anti-acne products and procedures to choose from. Call today for your free consultation and our health and wellness experts can determine the best treatment for your unique skin.